Keeping the rich tradition of french bakeries, Revel market emerges as an experiment between the present and the past. 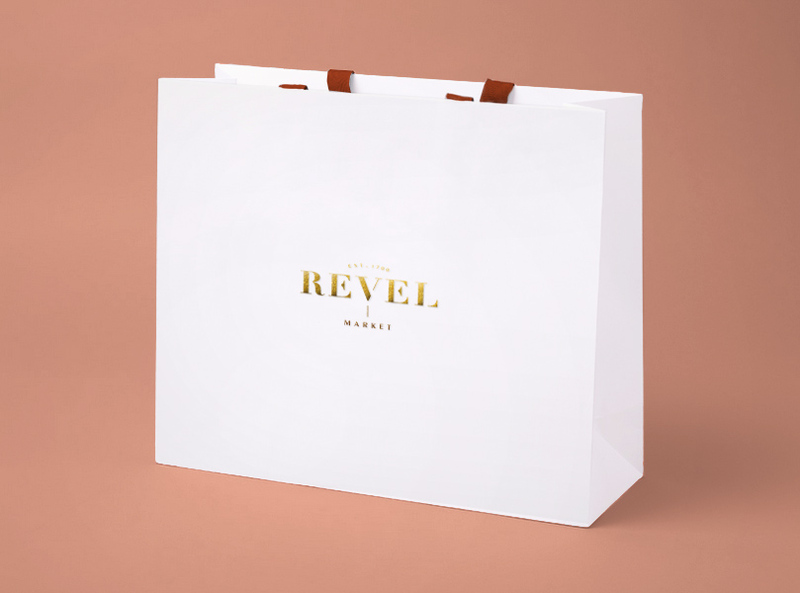 Revel Market is a contemporary bakery that draws on the rich culinary heritage of one of France's oldest markets. The bakery was designed as a contrast between the traditional and the contemporary by taking basic elements from long-establishedsta bakeries such as the use of craft and recycled paper. Inspired by this concept, the brand brings handmade aspects all through the store, evoking at the same time, a classy and refined feeling which can be perceived by elements such as labels and bags.the outdoors to the inside. 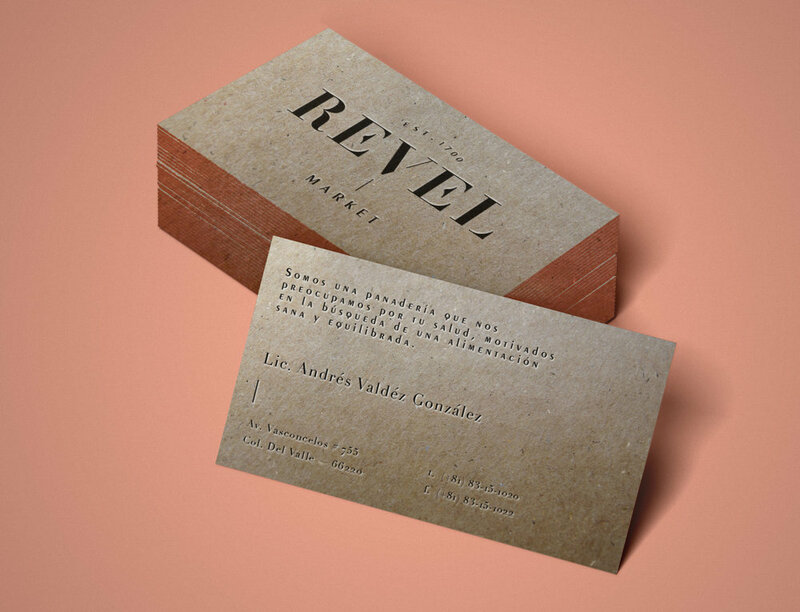 We chose printed materials with textures that evoke natural elements such as concrete, sand, marble, wood, and vegetation. The combination of the different tactile elements gives the identity a level of sophistication, as well as a hand-crafted appeal.